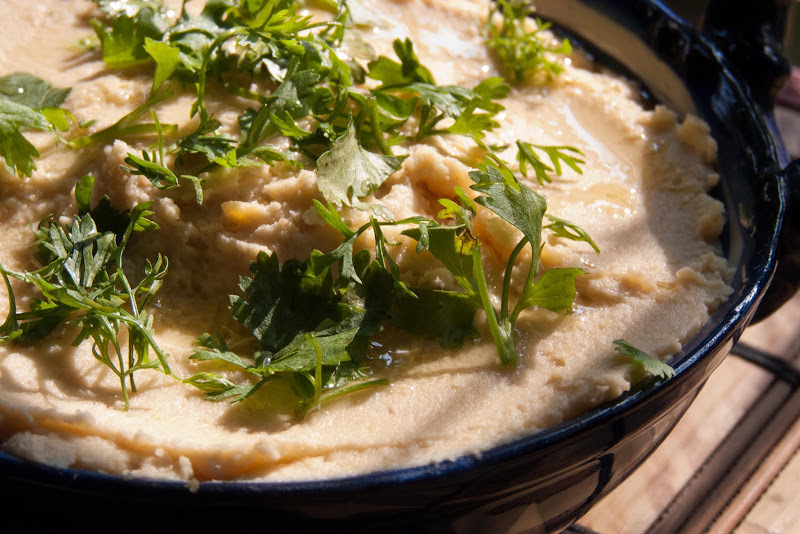 If any introductions are needed, hummus is a popular Middle Eastern dip or spread made out of chickpeas flavoured with tahini (toasted sesame paste) and lemon juice. There are also versions of hummus with garlic, tomatoes, paprika, etc. But I just love the taste of this simple one! It's such a healthy snack as well, rich with iron, vitamin C, a perfect source of protein and dietary fiber. 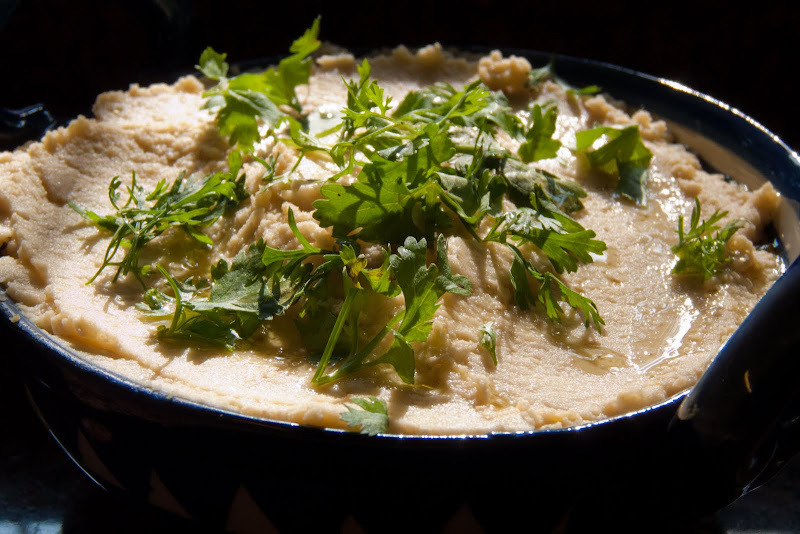 It can be served as a starter with flat breads, such as pita, veggies or along with falafel. 1. Drain the chickpeas, put them into a pot, add enough water just to cover them, add the onion, corriander sprigs, some salt and a few drops of olive oil. Boil them for at least 40 minutes or until they are soft. 2. Remove the onion and coriander, drain the chickpeas, but keep the stock. 3. Put the chickpeas into a blender/food processor, add a few spoons of the stock and blend it till you get a smooth paste. If needed, keep adding a few spoons of the stock until you get the right consistency. 4. Finally, mix in the lime/lemon juice, tahini paste and salt to taste. I recommend starting with less lime juice and tahini and if needed, add more later after tasting. Just before serving, drizzle with olive oil. Also, you can top it with fresh coriander or paprika powder, or some cooked chickpeas... Serve with pita bread or vegetables.